Residential electrical wiring can be confusing at the best of times. The size of the electrical service coming into the home and how to take that service and deliver the various power requirement through-out the home, can be a complex exercise. Power is supplied to your home, from the utility, in the form of volts and amps. 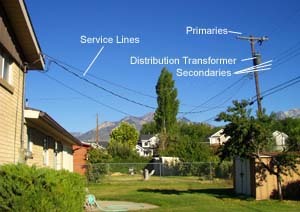 The amount of power that the utility provides is governed by the transformer on the pole, as shown in Figure 1, or the transformer that is mounted on the ground, as shown in Figure 2, that services your home and the size of the wires from that transformer to your home. For explanation purposes we will use 120 and 240 VAC as the voltage. 120 & 240 are nominal numbers and can vary from 110 to 120 and 205 to 240 depending on the utility. Utilities can drop power into your home using copper or aluminum wiring. However, there is a difference to the current carrying capability of copper versus aluminum. Because of our ever increasing demand for electrical power in out homes, most new homes are being built with a minimum of a 150 Amp service and 200 is not uncommon. Many older homes still have 60 amp services and in rural locations it is still possible to find 30 amp services. 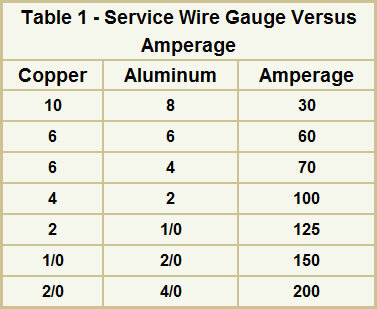 It is important to understand the relationship between wire gauge and amperage. To do this we will look at the original fuse. The original fuse was a piece of wire sized to melt when a specific amount of amps (current) was going through it, as shown in Figure 3. Figure 3 - The fuse element, on the left of the picture, is what is inside the cartridge. The thinner the link between the caps the less amount of current (amps) that the link can handle before it melts, due to the heat. A piece of wire gets hot as it carries the current to your home or throughout your home. This is why a toaster, stove or hotplate works, current is sent through the wires and they get hot. The thinner the wire, the hotter it gets when a specific amount of amps are flowing through it. Circuit breakers, as shown in Figure 4, perform the same function although they work in a different manner. They work in a similar manner to a thermostat. As current flows through the breaker, a piece of metal warms and bends, when the bend reaches a point it mechanically trips the breaker to the TRIPPED position, which is between the OFF and ON positions. It may be noted that although circuit breakers are more convenient than fuses because they can be reset. Fuses react much faster to overloads and hence shut down a circuit faster than breakers do. Wire is manufactured to a specific group of sizes that are designated by numbers known as gauges. The gauge of the wires that carries the power from the transformer to your home and within your home are chosen in size to ensure that they do not overheat at their rated amperage. In fact, there should be no noticeable heat on the wires at any time. So you might think that you can obtain more power from your utility just by increasing the size of the main fuses or breakers, and you probably can, to a point. 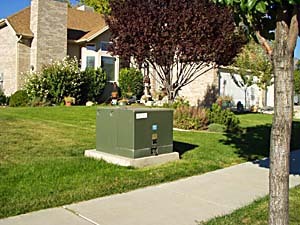 At some point, the wires that run from the transformer to your home will act as a fuse and burn out because they are carrying more current than specified. 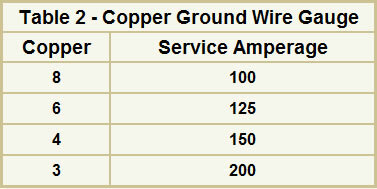 Table 1 provides the current carrying capacity, by gauge of copper and aluminum wires. Choosing the correct wire gauge within your home, wires that run from the electrical distribution panel (load center) to various appliances, and electrical outlets (receptacles) is crucial. You do not want the wire to act as a fuse and burn should a short circuit occur. 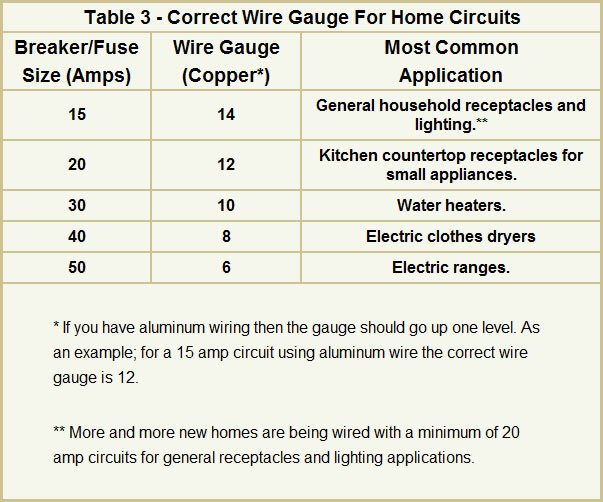 Table 3 provides the correct gauge of wire for electrical circuits in your home depending on the rated load.